Alarm fatigue happens when medical workers overwhelmed by constant and loud alarm rings turn down the volume on the devices, shut them off or simply ignore them. These actions can lead to serious personal injury or wrongful death. As hospitals invest in more and more sophisticated equipment to save lives, nurses and other hospital workers especially in Intensive Care Units have to deal with the constant and sometimes very loud ringing of alarms during their shift. 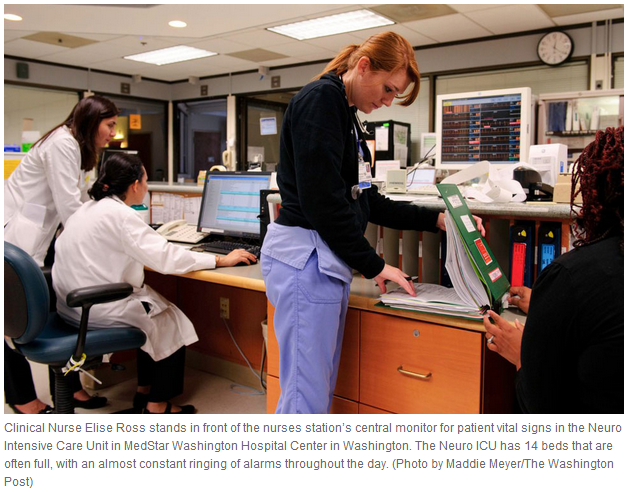 A recent study estimated that the average number of alarms that sounded per bed per day in one ICU was 771. This is obviously more than staff and patients can take and hospitals have to make a priority of reviewing their alarm system or they may risk loss of their accreditation. In a very interesting article, Lena H. Sun from the Washington Post, gives an overview of recent Medical Malpractice cases related to Alarm Fatigue and what measures are being taken by hospitals to address this growing medical concern.